We advise any volunteers with food allergies to exercise caution when determining whether or not to participate in food packing. 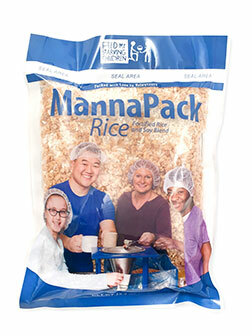 We are able to provide a complete list of ingredients in FMSC’s food products, but we cannot guarantee the environments where our ingredients are manufactured. 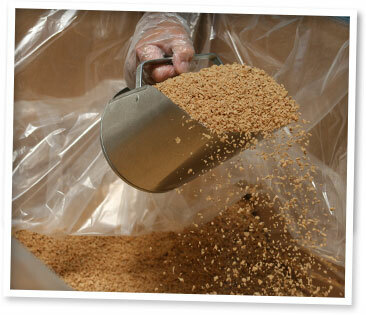 Volunteers with extreme food allergies or allergies to any of the listed ingredients are advised not to pack. 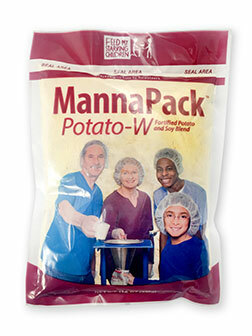 Ingredients: White Rice, Textured Soy Protein (Soy Flour), Vegetarian Flavoring (Salt, Hydrolyzed Corn Protein, Corn Starch, Dextrose, Soybean Oil, Natural Flavor, Disodium Inosinate, Disodium Guanylate), Dehydrated Carrots, Dehydrated Potatoes. 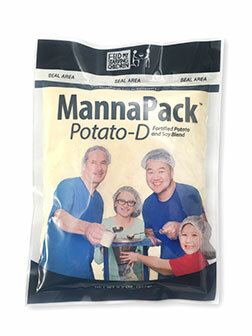 Ingredients: Dehydrated Potatoes (Potatoes, Mono and Diglycerides, Sodium Acid Pyrophosphate, Sodium Bisulfite, Citric Acid, and BHT and/or BHA to preserve freshness); Lecithinated and Refatted Soy Flour (Defatted Soy Flour, Soybean Oil, and Soybean Lecithin); Sweet Potato Flavoring (Shortening Powder (Partially Hydrogenated Soybean Oil, Corn Syrup Solids, Sodium Caseinate, Mono & Diglycerides, Dipotassium Phosphate and Sodium Silico Aluminate), Soybean Oil, Dehydrated Sweet Potato, Iodized Salt, Sugar, Natural Flavor, Turmeric, Maltodextrin, Partially Hydrogenated Soybean Oil, Modified Corn Starch, Brown Sugar, Artificial Flavor, Caramel Color and Silicon Dioxide to prevent caking). Vitamins & Minerals: Gum Arabic, Calcium Carbonate (Calcium), Ferrous Sulfate (Iron), Zinc Oxide (Zinc), d-1 alpha Tocopheryl Acetate (Vitamin E), Vitamin A Palmitate, Folic Acid, Biotin, Vitamin D3, Cyanocobalamin (Vitamin B12). Vitamins & Minerals: Gum Arabic, Calcium Carbonate (Calcium), Ferrous Sulfate (Iron), d-1alpha Tocopheryl Acetate (Vitamin E), Niacinamide (Niacin), Zinc Oxide (Zinc), Vitamin A Palmitate,Thiamin Hydrochloride (Thiamin), Riboflavin, Pyridoxine Hydrochloride (Vitamin B6), Folic Acid,Vitamin D3, Cyanocobalamin (Vitamin B12).